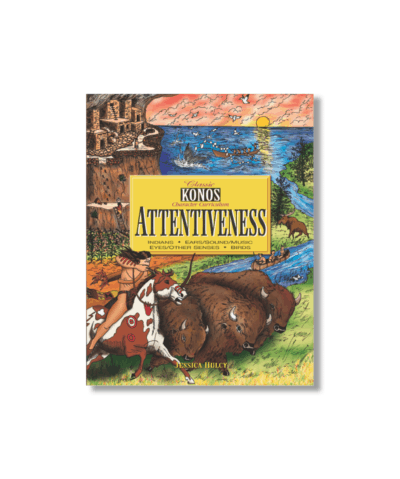 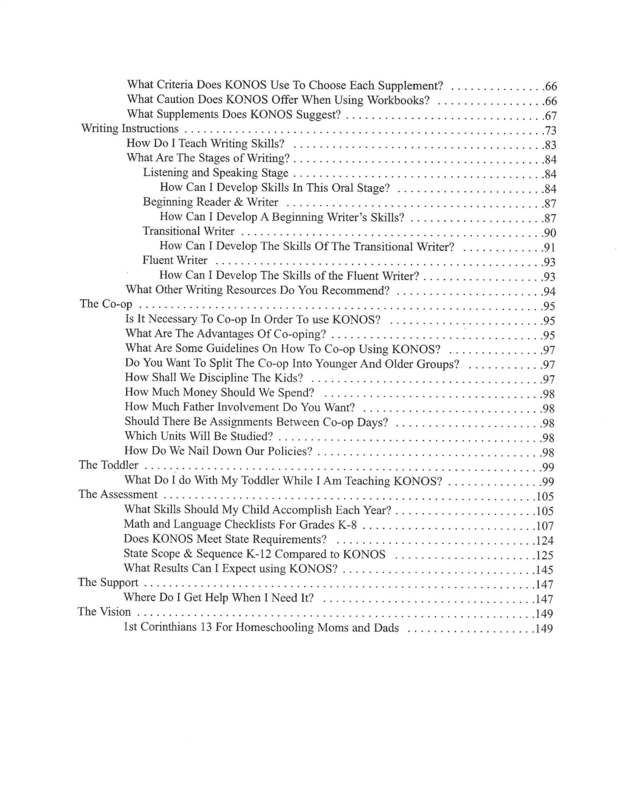 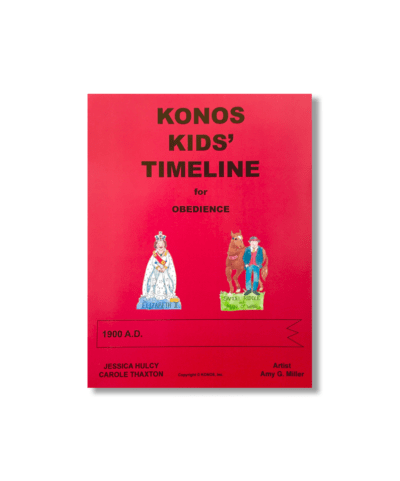 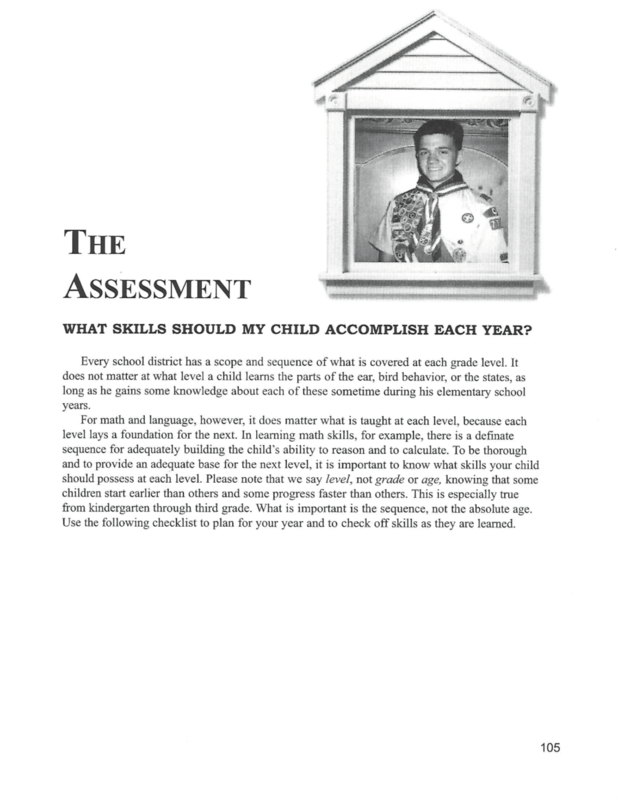 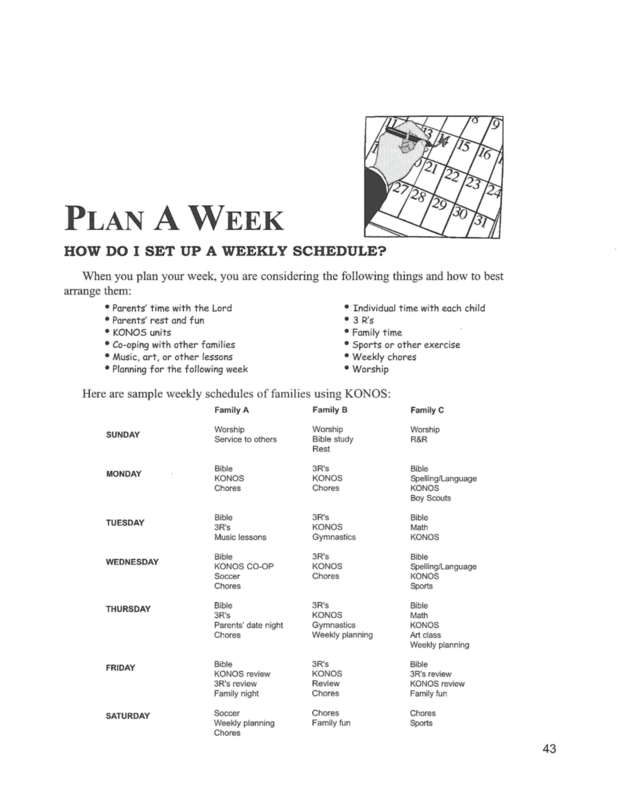 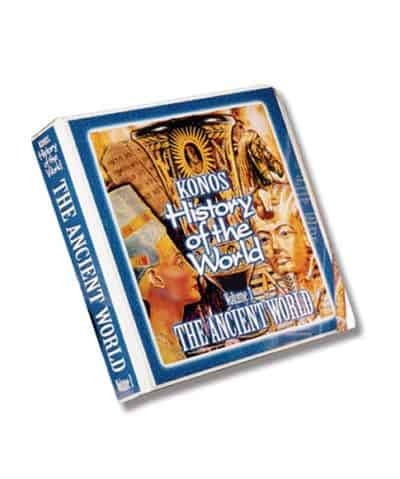 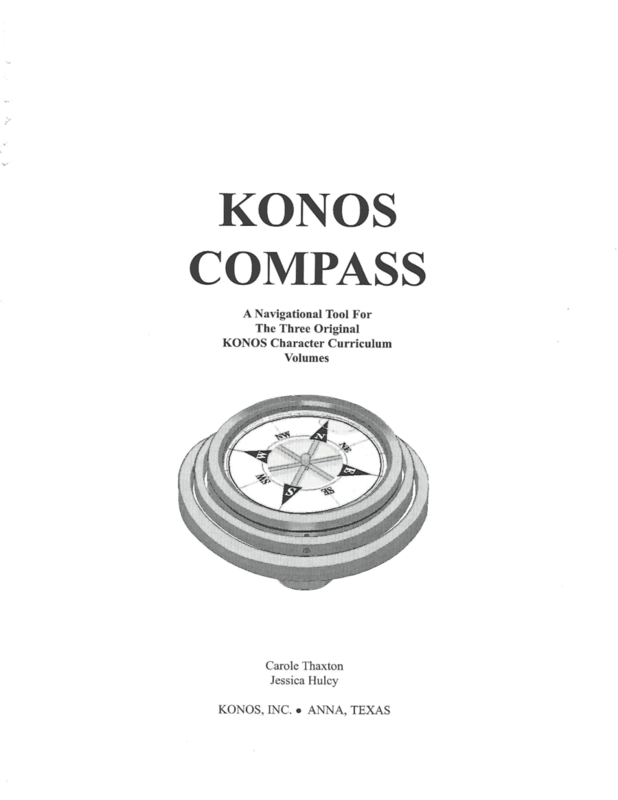 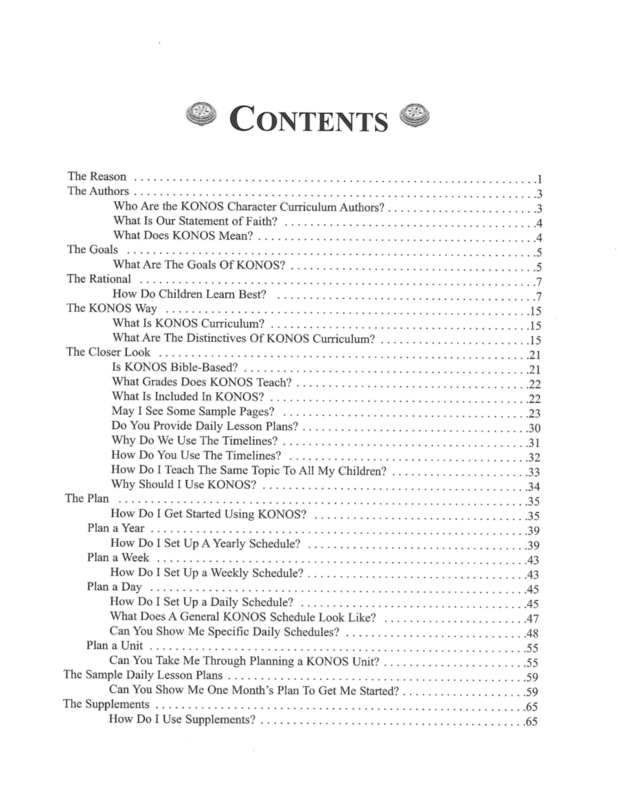 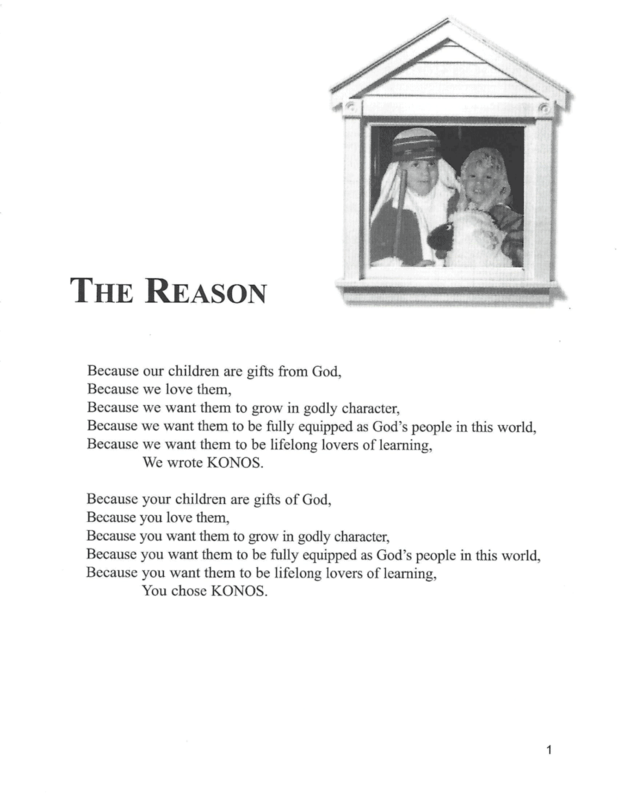 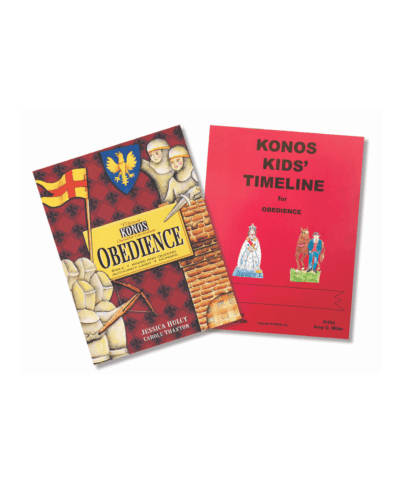 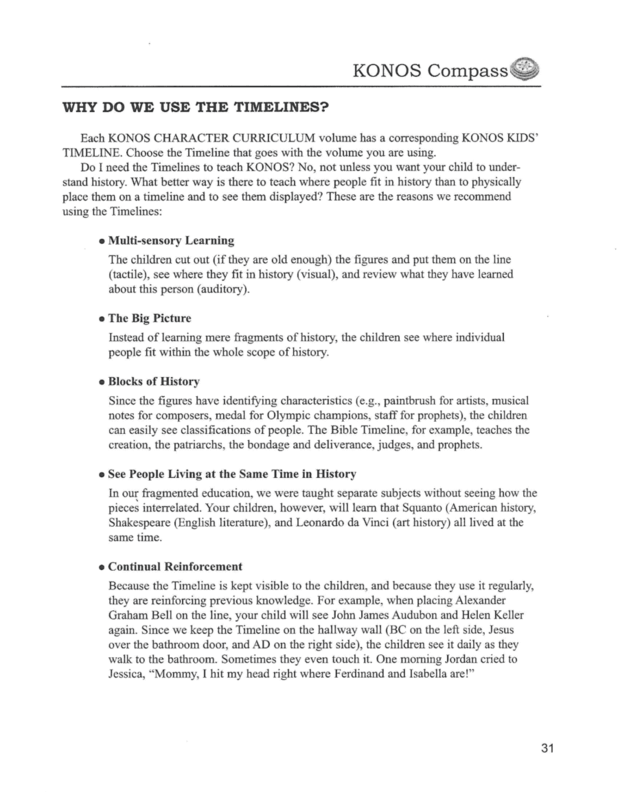 In addition to all the philosophy and teaching methods behind KONOS, the KONOS Compass provides practical instructions on how to implement KONOS by showing moms how to plan, prepare and present their lessons. 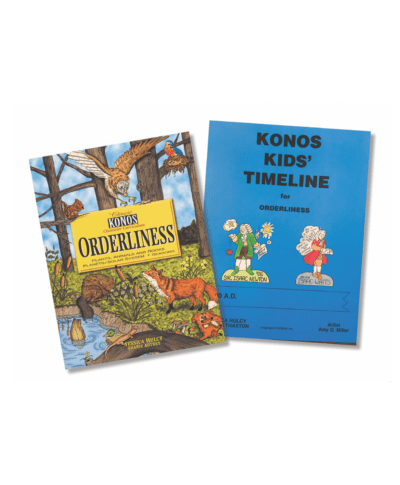 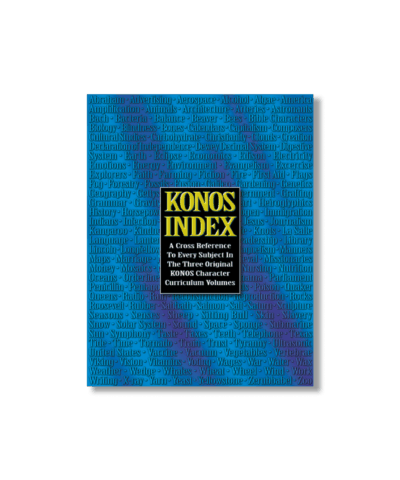 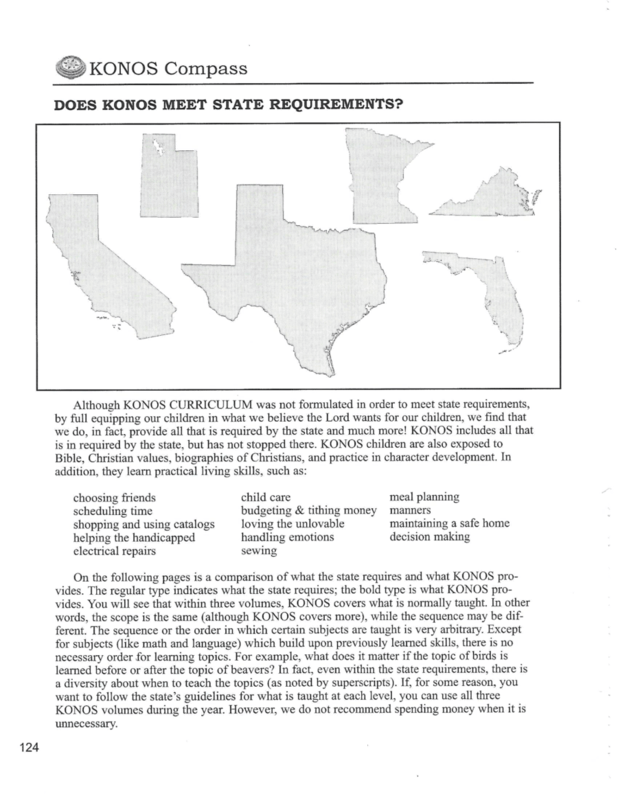 The Scope and Sequence of all three volumes, compares KONOS to state requirements for every grade level allowing moms to check their progress. 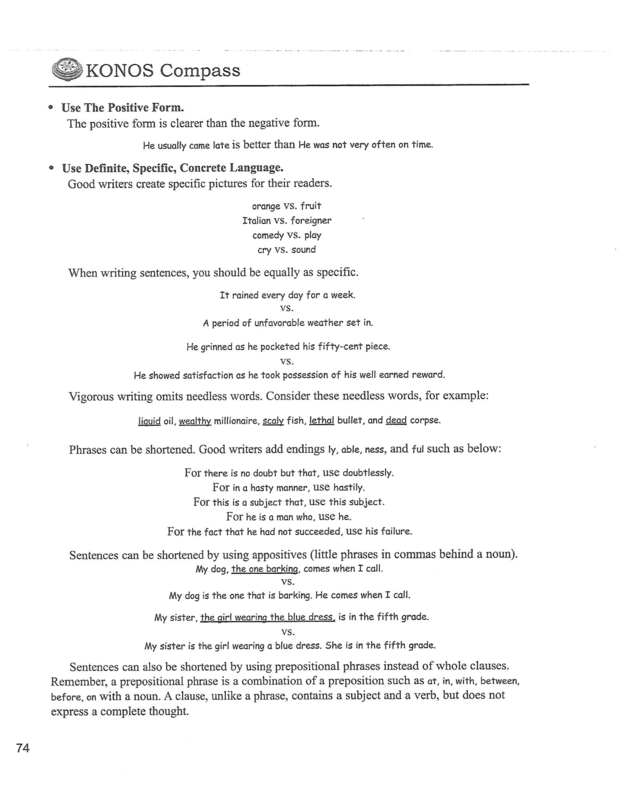 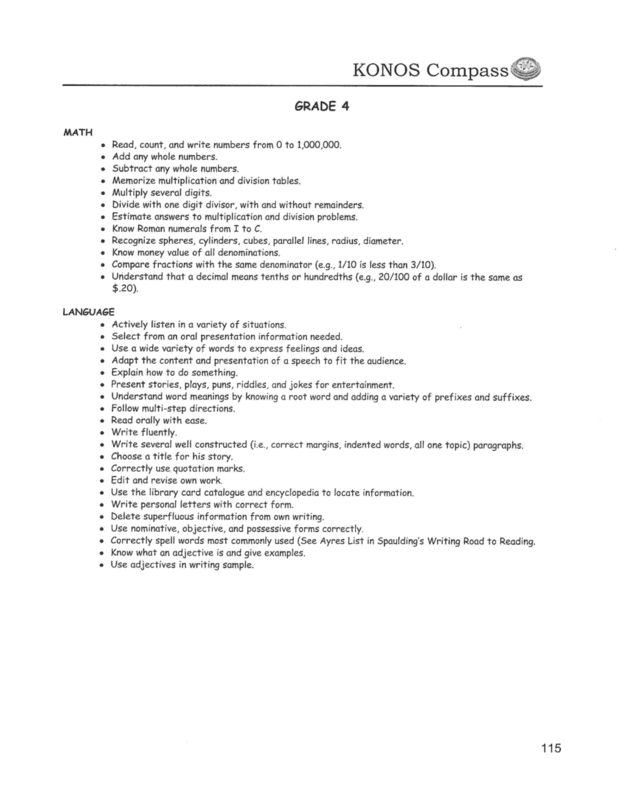 The Math and Language Checklists for Grades K-8 alerts moms what is required at each grade level. 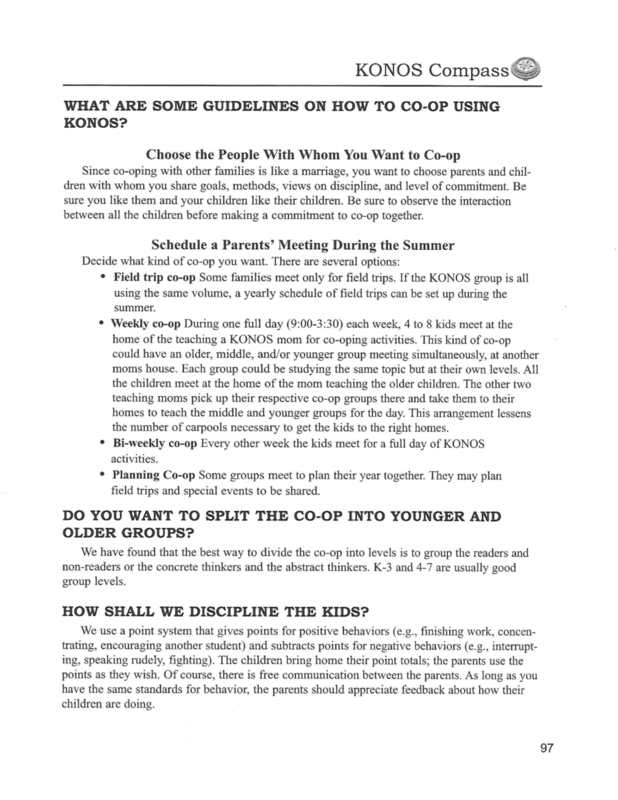 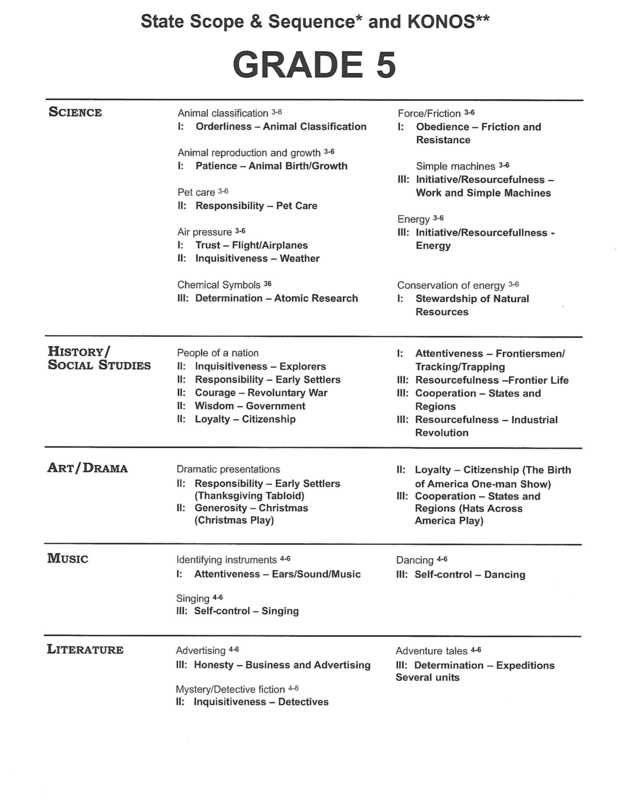 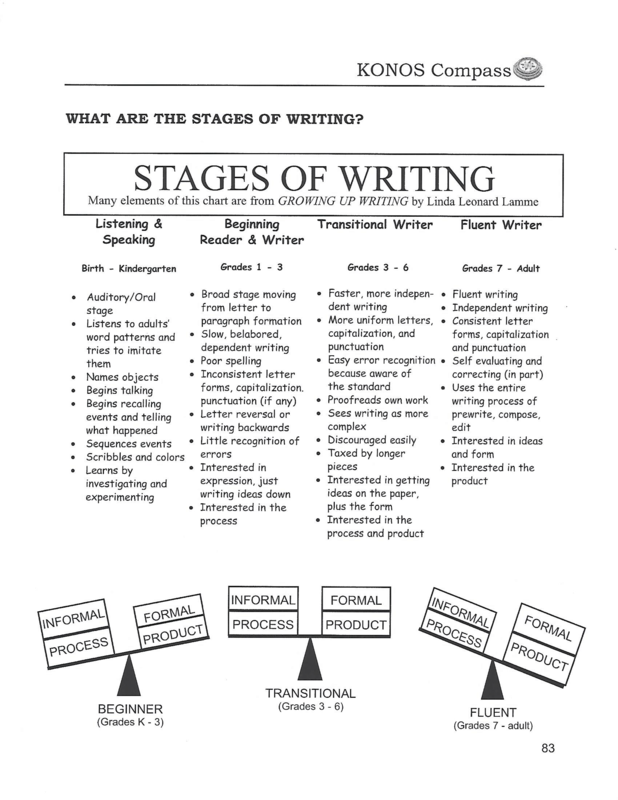 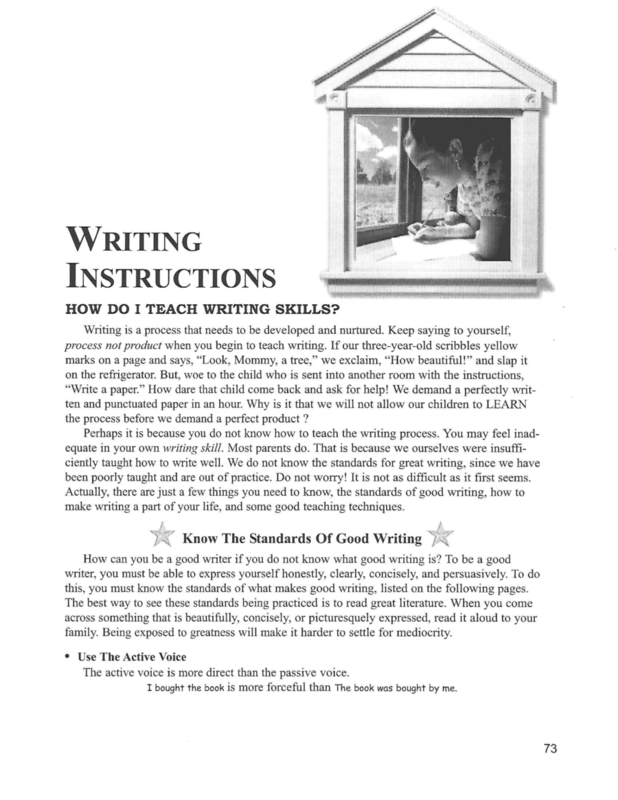 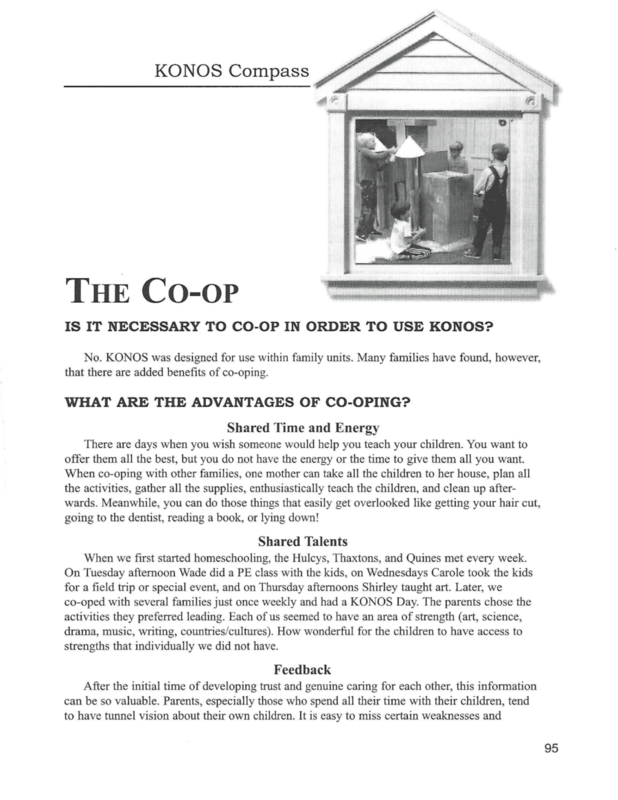 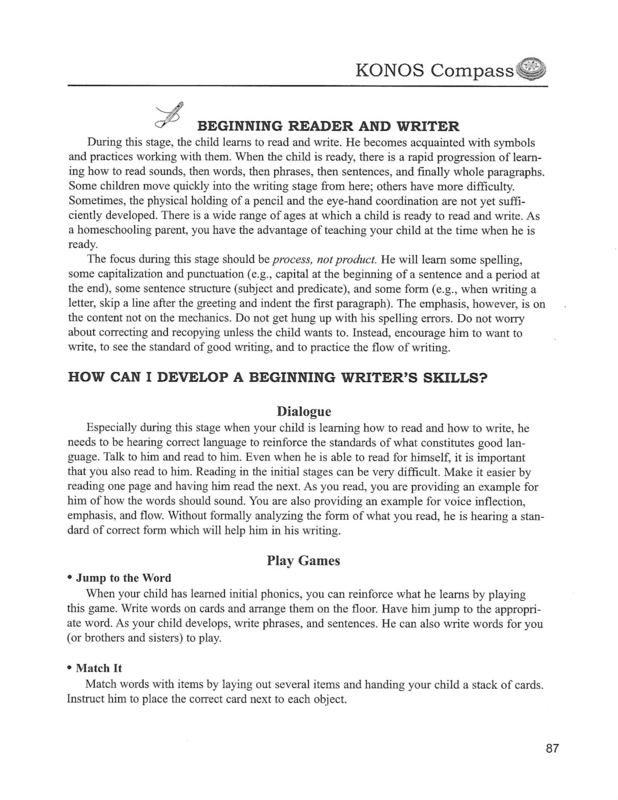 However, I think the most helpful sections in the Compass are what to do with toddlers, how to co-op, and how to teach writing…. 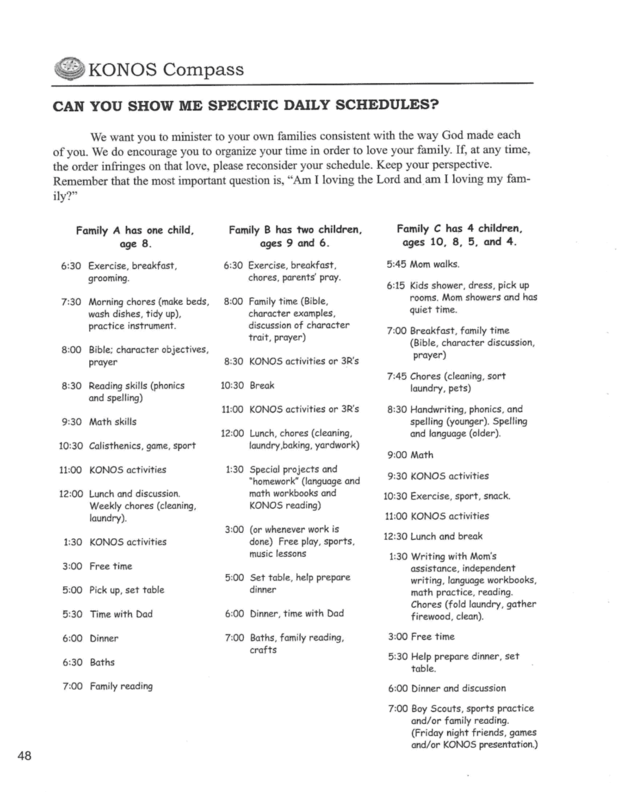 three areas moms frequently ask about. 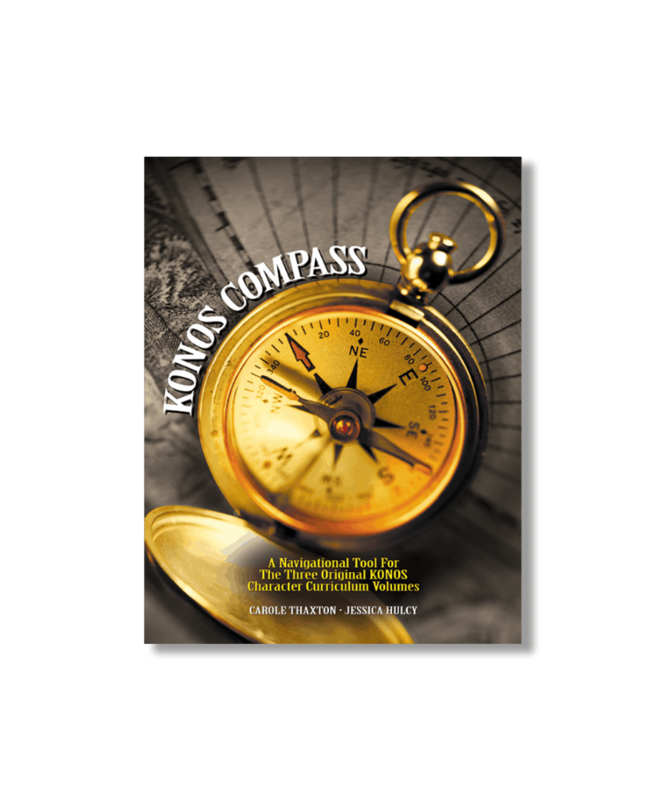 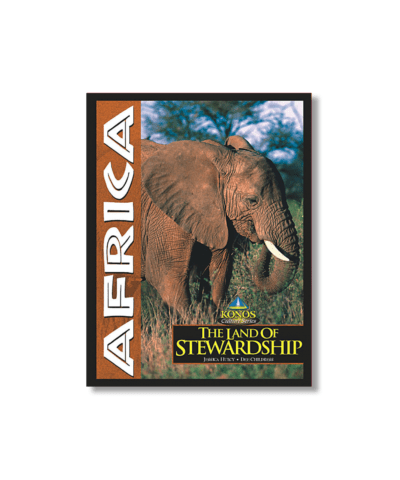 If you are using the Volumes, the Compass is ESSENTIAL!